Me and my parents just came home from a 10 day trip with this company. Prasanna, our driver, was always on time and drove us safely and knew his way around on the roads. He was easy to spend time with and talk to, he spoke good english and was always in a good mood. 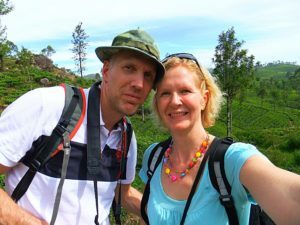 He has been very helpful to us as he gave us good information and showed us a Sri Lanka that would not have been possible without him. Having a driver was a very good choice as we saved alot of time in commuting, and choosing this company was right for us. We can warmly recommend Prasanna and his company, a family runned business who has been great to us. Thank you Prassana for this time, hope to meet you again.